Chabad of New Mexico ... Who are we? Chabad of New Mexico is the New Mexico state center of the worldwide Chabad movement. Chabad-Lubavitch is a philosophy, a movement, and an organization. It is considered to be the most dynamic force in Jewish life today. The word "Chabad" is a Hebrew acronym for the three intellectual faculties of: chachmah-wisdom, binah-comprehension and da'at-knowledge. The movement's system of Jewish religious philosophy, the deepest dimension of G‑d's Torah, teaches understanding and recognition of the Creator, the role and purpose of Creation, and the importance and unique mission of each Creature. This philosophy guides a person to refine and govern his and her every act and feeling through wisdom, comprehension and knowledge. "Lubavitch" is the name of the town in White Russia where the movement was based for more than a century. Appropriately, the word Lubavitch in Russian means the "city of brotherly love." The name Lubavitch conveys the essence of the responsibility and love engendered by the Chabad philosophy toward every single Jew. Following its inception 250 years ago, the Chabad-Lubavitch movement swept through Russia and spread in surrounding countries as well. It provided scholars with answers that eluded them and simple farmers with a love that had been denied of them. Eventually the philosophy of Chabad-Lubavitch and its adherents reached almost every corner of the world and affected almost every facet of Jewish life. The movement is guided by the teachings of its seven leaders ("Rebbe"'s), beginning with Rabbi Schneur Zalman of Liadi, of righteous memory (1745-1812). These leaders expounded upon the most refined and delicate aspects of Jewish mysticism, creating a corpus of study thousands of books strong. They personified the age-old, Biblical qualities of piety and leadership. And they concerned themselves not only with Chabad-Lubavitch, but with the totality of Jewish life, spiritual and physical. No person or detail was too small or insignificant for their love and dedication. 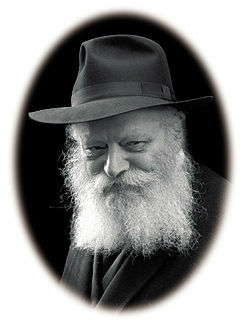 In our generation, the Lubavitcher Rebbe, Rabbi Menachem Mendel Schneerson of righteous memory (1902-1994), known simply as "the Rebbe," guided post-holocaust Jewry to safety from the ravages of that devastation. The origins of today's Chabad-Lubavitch organization can be traced to the early 1940's when the sixth Lubavitcher Rebbe, Rabbi Yosef Yitzchak Schneersohn of righteous memory (1880-1950), appointed his son-in-law and later successor, Rabbi Menachem Mendel, to head the newly-founded educational and social service arms of the movement. Motivated by his profound love for every Jew and spurred by his boundless optimism and self-sacrifice, the Rebbe set into motion a dazzling array of programs, services and institutions to serve every Jew. Today 4,000 full-time emissary families apply 250 year-old principles and philosophy to direct more than 2,700 institutions (and a workforce that numbers in the tens of thousands) dedicated to the welfare of the Jewish people worldwide. 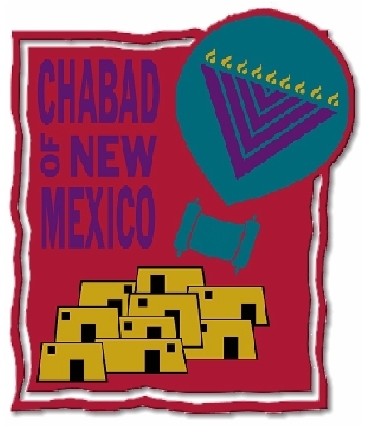 Chabad of New Mexico, the branch of this world-wide movement, is directed by Rabbi Chaim and Devorah Leah Schmukler. They have one question for you: "How can we help you?"